Women's Bestfriend - Look 10 years younger! Gosh, I can't even believe that I am pretty much in my middle 20s. All I can remember is being in high school, continuing my studies, graduating, getting married and now I have a son. Realizing I am 26 this year, I have just another 4 years until I hit my 30's *gasp*! Back in the day, all I cared about was getting my blackheads off and wanting to keep up with youngsters’ trends. You name it;hair with highlights like Avril, dark clothes, the eyeliner on the bottom part of my eyelid and just having fun. After many years, I’ve started to notice that I just want simplicity – an easy skincare routine that keeps my skin looking healthy and young like how I remember it to be. As I grow up, my perspective changes, my way of thinking changes, and of course, my skin changes. But there is one thing that would not change in any female; the need to feel beautiful in their own way. I want radiant, soft and smooth skin. I can’t change my age, but I can definitely change the way my skin looks. It is all about the trust in a good skincare product that works intuitively with my skin. 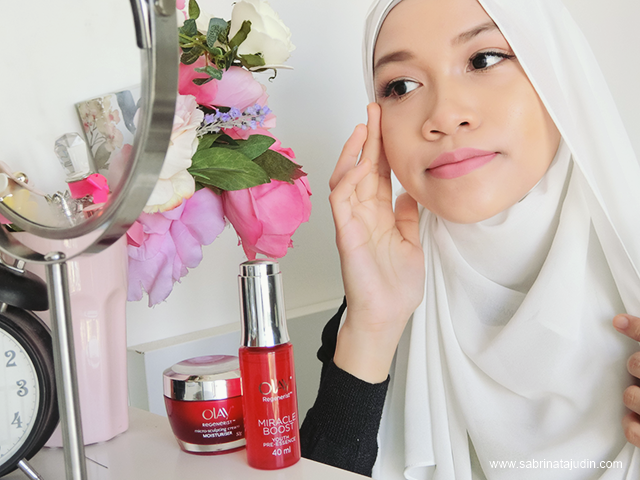 Recently, I discovered the Olay Regenerist Miracle Boost Micro-Sculpting Cream and Olay Regenerist Miracle Boost Youth Pre-Essence. Olay Regenerist Micro-Sculpting Cream is an award winning, best-selling, anti-ageing cream formulated with an extremely concentrated Amino-Peptide Complex and Hydra-Firming Complex that helps skin to firm up and micro sculpt your skin to help with looking younger. It comes in a jar and the cream is very lightweight and easy to blend in. It smells great too! 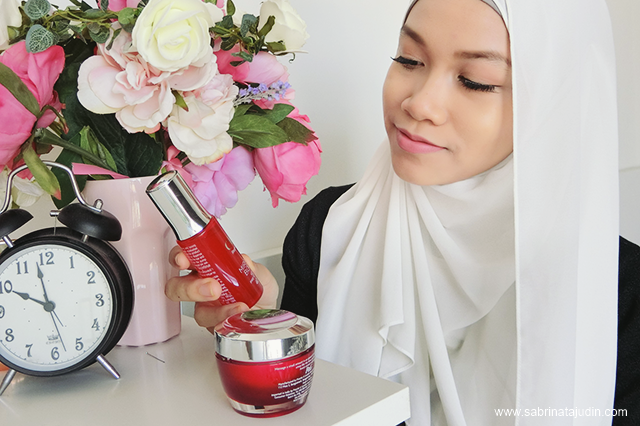 Olay Regenerist Miracle Boost Youth Pre-Essence is an essence you can use during both the daytime& at night. It is best used together with the cream. It boosts the penetration of the anti-aging benefits from your moisturizer and helps increase skin cell metabolism skin renewal. It is all a woman wants – to reduce fine lines and wrinkles, make pores smaller and tighter, and firms the skin so I can look up to 10 years younger! Which would be 16 years old? Haha! It was the time I first met my husband! hehe. This essence also comes with an auto-dropper packaging design that ensures exact and right amount of essence you need in every application. Will discover new experience with these skincare and let you know more about it soon! Stay tuned ladies!